Turtle Beach, a leading-edge audio technology company that is an expert in the realm of gaming audio, is pleased as punch to announce its latest – and third 100% fully wireless Xbox One headset, where it will be known as the Ear Force Stealth 420X. Already available for pre-order, it will end up available for the masses this coming July 18th. Audio in the realm of computer and console gaming is always on an upward trend when it comes to improvements, and this bodes well for gamers in the long run as they get to enjoy more and more realistic sounds, from the burst of machine gun rounds, to bone crunching punches, the whole works. Not only that, team based gaming has also become more popular thanks to faster Internet connections, and one will always need to communicate in a team – and barking out orders is a whole lot faster than typing them. Hence, the Turtle Beach Ear Force Stealth 420X is born. 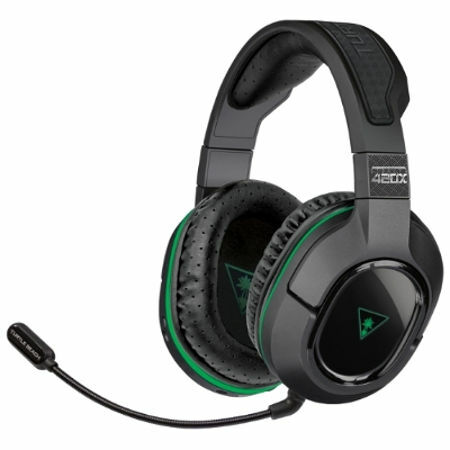 This is the third 100% fully wireless Xbox One gaming headset from the company, and similar to its predecessors, the Stealth 420X will boast of their renowned audio and microphone quality, arriving in a comfortable headset that has been specially designed in order to provide gamers with the most immersive and enjoyable gaming experience possible. Not only that, it also happens to be an officially licensed gaming headset for the Xbox One, and will arrive loaded with a suite of must-have features that Xbox One gamers are sure to enjoy. It is 100% fully wireless, and despite that, there will be no worries of not having crystal clear game and chat audio as it makes use of the latest, intelligent channel-hopping technology. It is also a snap to set up, as all it takes is a USB connection to the Xbox One and you can make sure that all your wireless gaming dreams come true. Mic Monitoring will also allow players to hear their own voice in the headset so as to avoid shouting, which in the long run, is good for your ears. There are also independent controls for both game and chat audio as players can tune the mix to their preference. The Ear Force Stealth 420X will retail for $179.95 a pop if you’re interested.